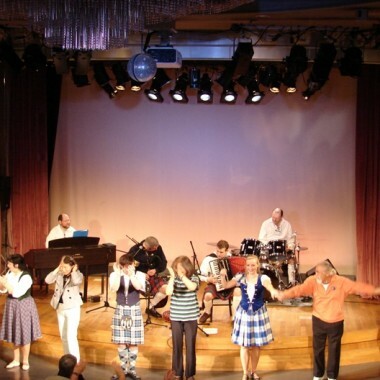 We have a range of Scottish ceilidh bands for novice dancers and experienced reelers alike. They provide a lively sound with lots of the 'lift' essential for Scottish dancing. 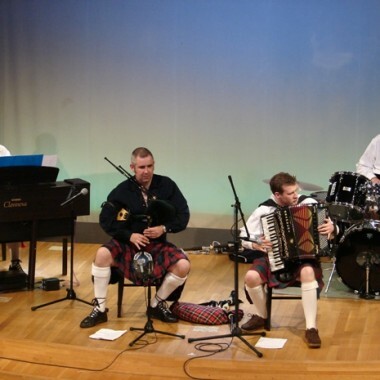 We have a range of Scottish ceilidh bands for novice dancers and experienced reelers alike. They provide a lively sound with lots of the ‘lift’ essential for Scottish dancing. Some bands come with their own caller included in the ranks of the musicians. However, if you want more individual attention to the dance calling, movements, steps etc they would recommend an outfit with a separate, discreet caller. He/she would be able to move among the dancers at will and pay closer attention to them, walking dances through with the less experienced before they are tried with music. They may even be able to obtain the services of a caller, who is also an ex-Pipe Major, to perform piping in as well as calling. 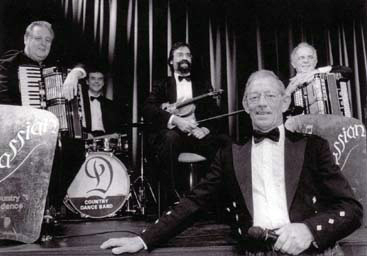 The bands cover weddings, Burns suppers, private parties, corporate dinners and charity balls. They have many years of experience in public performance, and their aim is that the audience have a good time whatever their dancing ability.